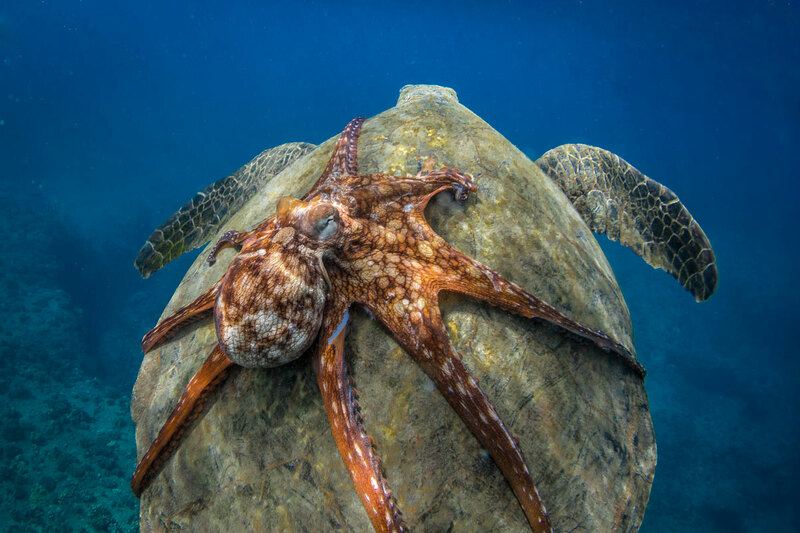 Smithsonian Magazine just announced the finalists of their 14th Annual Photo Contest. 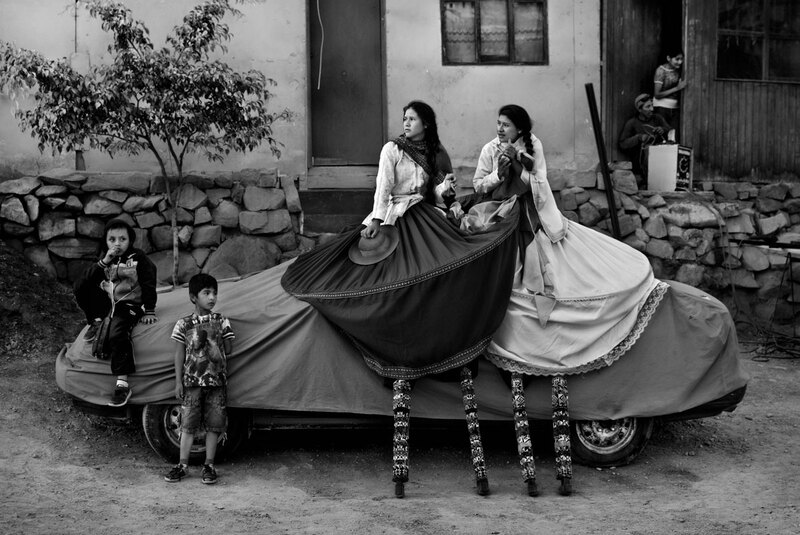 This year they received more than 48,000 submissions from photographers in 146 countries and territories. Voting is now open for the Readers’ Choice winner. Voting is limited to one vote per user per day and runs through March 27 at 11:59:59 PM EST. The finalist who receives the most votes will be announced alongside the Grand Prize and 7 category winners on March 28th. 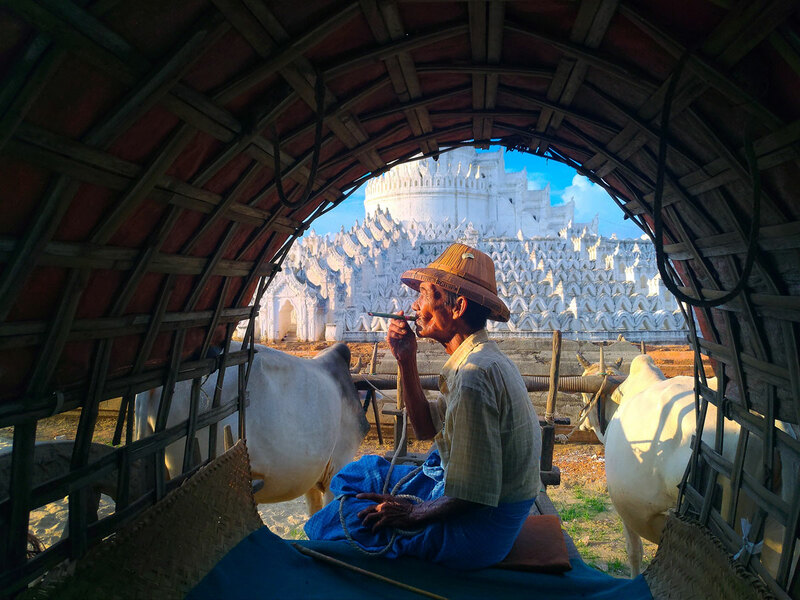 You can see all 70 finalists from Smithsonian.com’s 14th Annual Photo Contest and vote for the Readers’ Choice winner here! Smithsonian was kind enough to let us share a gallery of some of the amazing finalists. You can find the rest at the link above. © Michael B. Hardie. All rights reserved. The thing that draws me to the ocean the most is that I never know what I’m going to come across on any given day. I count myself extremely fortunate to have been in the right place at the right time to capture this image. 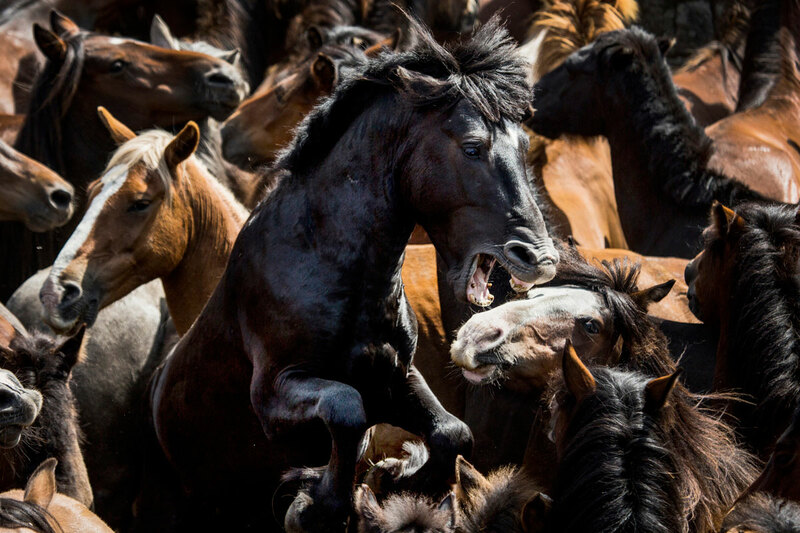 Taking place every year across Galicia, Rapa das Bestas, or ‘Shearing of the Beasts,’ involves cutting the manes of semi-feral horses that live in the mountains. Horses are rounded up into enclosures called curros, foals are branded and the adults groomed before being freed. The best known is the Rapa das Bestas of Sabucedo, which occurs on the first weekend in July. I visited to central region of my country, Myanmar, last year. When I arrived to Mingun, I found this old man with an oxcart taxi for visitors. He took me around the Mingun area. Finally we arrived at the famous white temple of Mingun. I loved the background so requested to shoot a photo of him in the oxcart. I liked the frame of the oxcart box and lighting on the face. © Alisson Gontijo. All rights reserved. A couple watches a television literacy program. 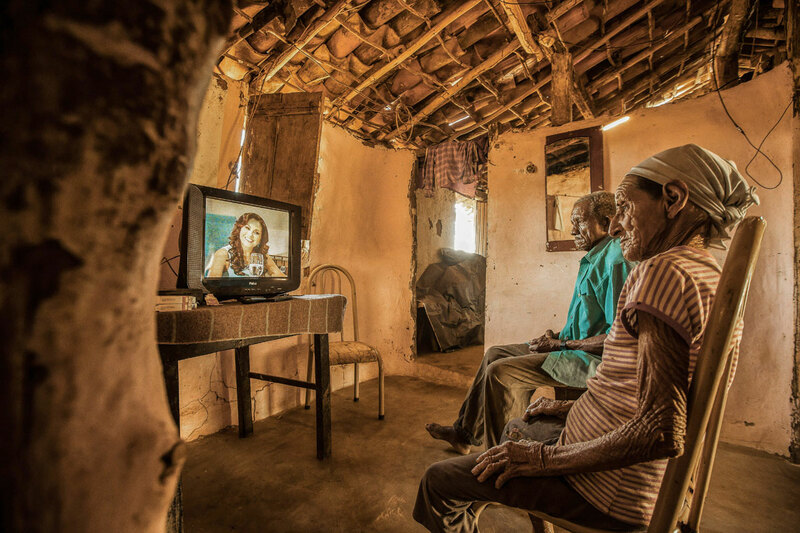 This photo is part of a series on the impact that media has on the lives of people in rural Brazil. 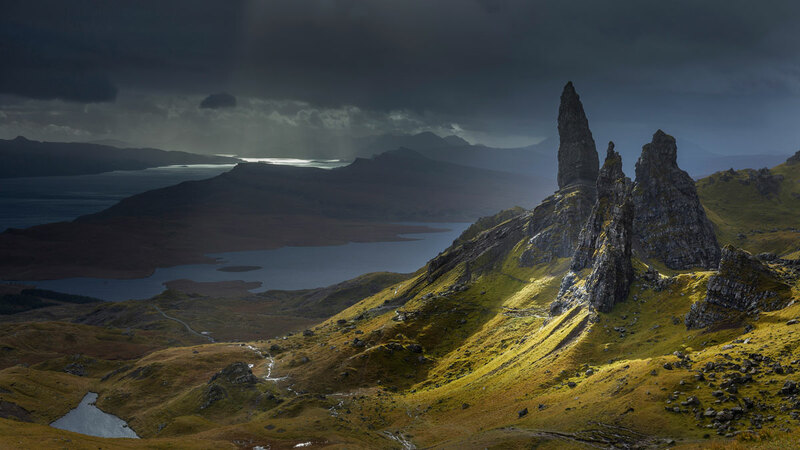 On a stormy autumn day a fleeting shaft of light illuminates the Old Man of Storr and other pinnacles of the Trotternish Ridge on the Isle of Skye, Scotland. 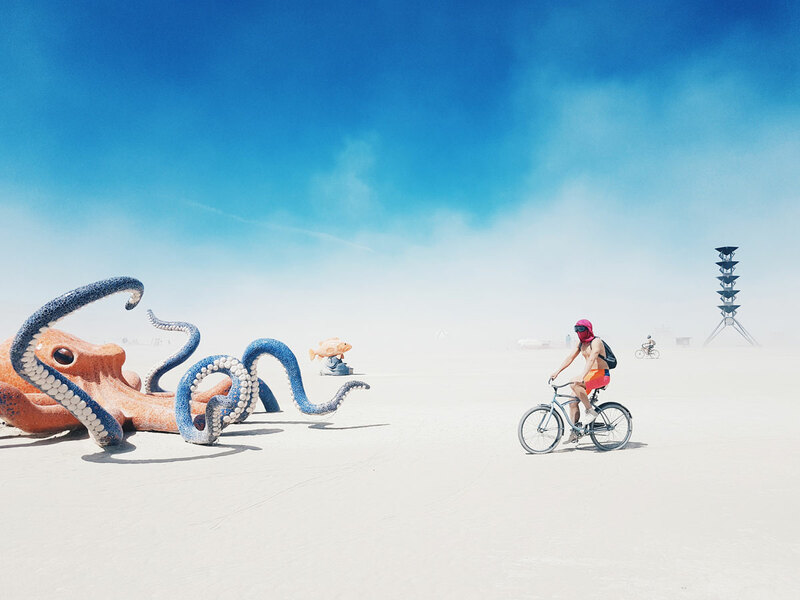 A man bikes by an octopus statue at the Burning Man festival in Black Rock City, Nevada. © Swaroop Singha. All rights reserved. © Kim Aikawa. All rights reserved. 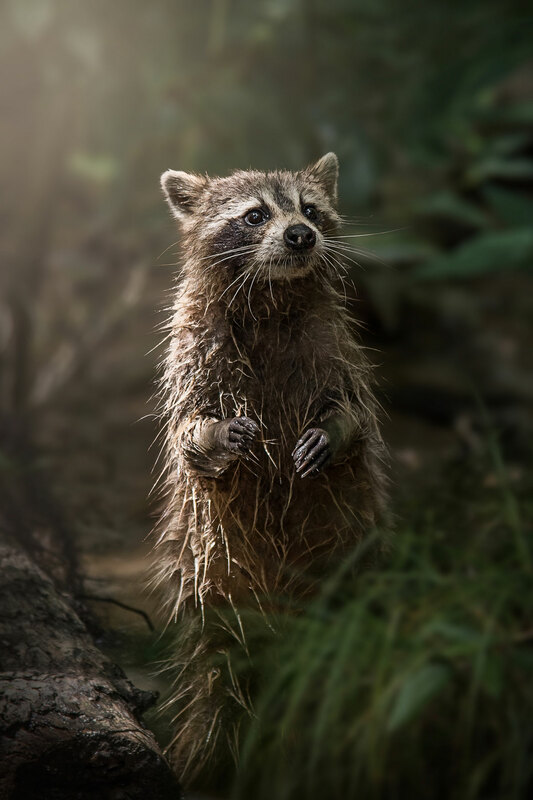 While I was looking for alligators at a swamp in Louisiana, this beautiful little creature wandered out of the murky waters right into the morning light. Waste from a paper mill is agitated by aerators, producing steam and foam, which are pushed by the wind. Clearwater Paper Reservoir, Lewiston, Idaho. Aerial image (shot from a plane at 1,500 feet). © Karthik AK. All rights reserved. 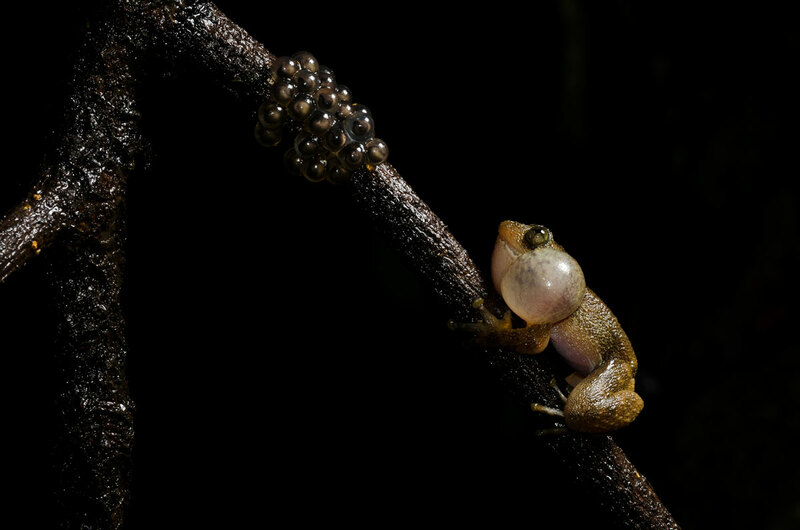 This night frog, endemic to the Western Ghats of India, exhibits a unique breeding behavior. The males call for females, the females come and lay the eggs, then the males fertilize them. In this image, the male has successfully fertilized a clutch of eggs from a female. He is calling out for other females to lay eggs. 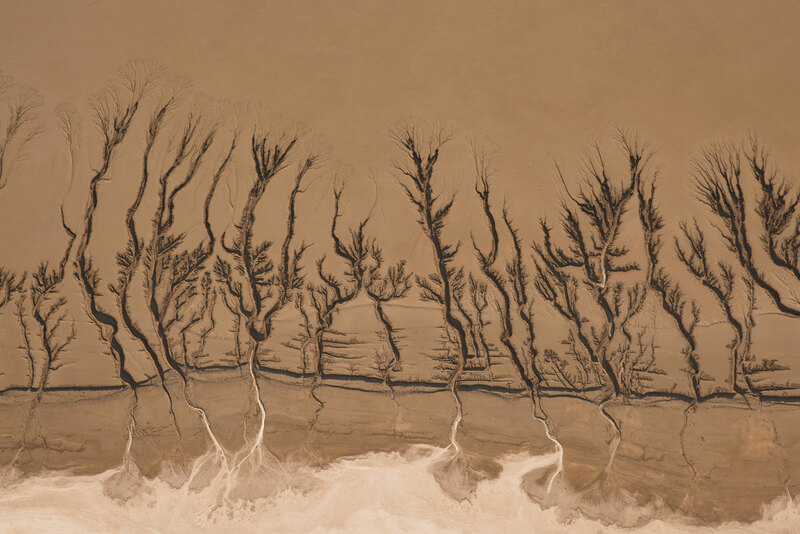 Patterns in an endorheic lake, now completely dry, of California’s Mojave Desert show the constantly transforming beauty of nature. For me, sustainable travel involves traveling around the world, particularly to support national parks and other wilderness areas that exist to protect our natural resources. 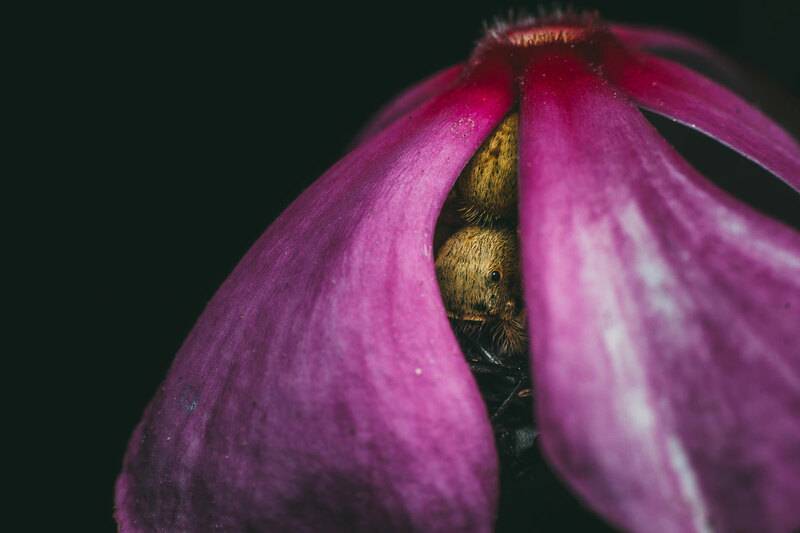 This photo was taken as part of an ongoing series I have been working on over the past two years, observing transformations in the natural world with special consideration for issues regarding environmental sustainability. A particular focus of this photo series is water management and water patterns. Break time during a street theater festival known as FITECA. Periphery of Lima, Peru. © John Beckman. All rights reserved. Sustainable travel enables conservation of the things that make a destination desirable in the first place. 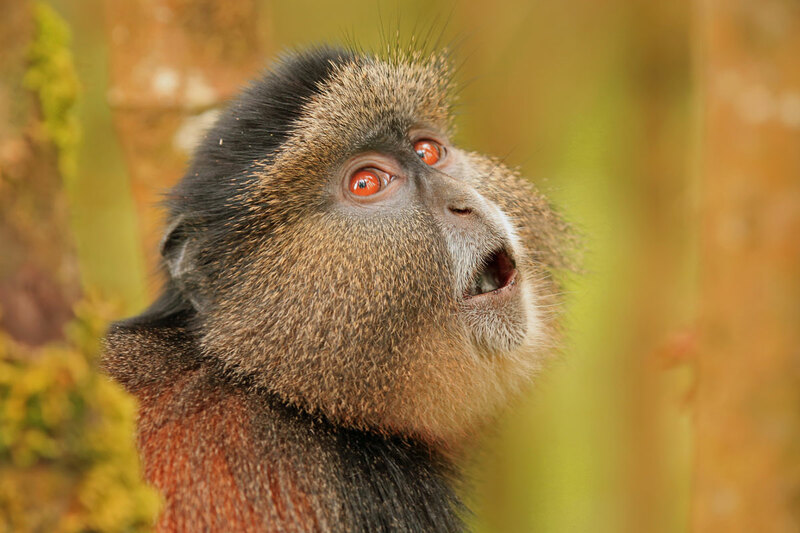 Rather than denuding forests for a strip of souvenir shops and a tiny fenced reserve, places like Rwanda’s Volcanoes National Park protect the native habitat for several rare species, including the golden monkey, mountain gorilla and forest elephant. Park tourism dollars employ guides, trackers and porters and also support community development projects that reduce the incentive to cut forest for illegal farms or set antelope snares, which can kill endangered monkeys and gorillas. Many primate families in the park are comfortable with close human presence. I was thrilled to get within twelve feet of this beautiful golden when it descended from the trees to search for tender bamboo shoots. It paid little attention to me, but surveyed the area briefly, perhaps as a caution against eagles. © Kamil Nureev. All rights reserved. 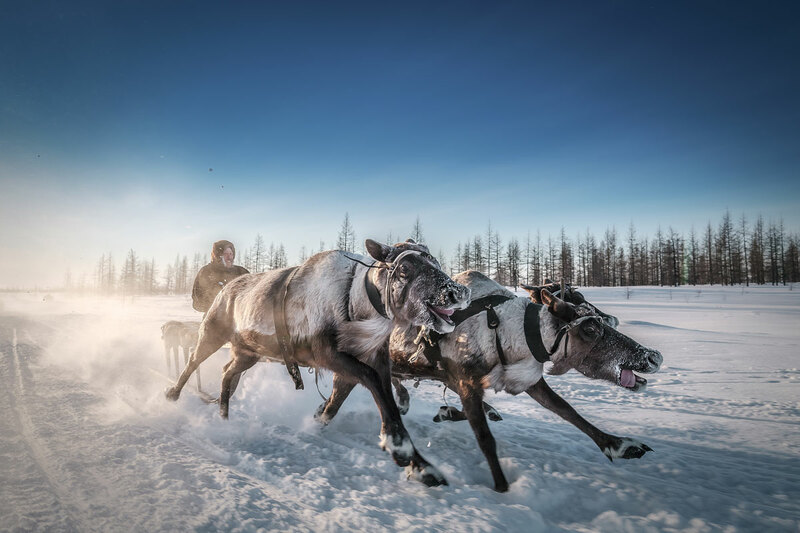 Since ancient times, the Nenets have led a nomadic life. Reindeer harnessed to sleds is the most reliable form of transport on the tundra, and the people of the North make use of their navigational abilities. In severe conditions, such as a blinding snow storm, deer are not only loyal companions, but sometimes the only hope for survival. Bromo Tengger Semeru National Park is a national park in East Java, Indonesia. 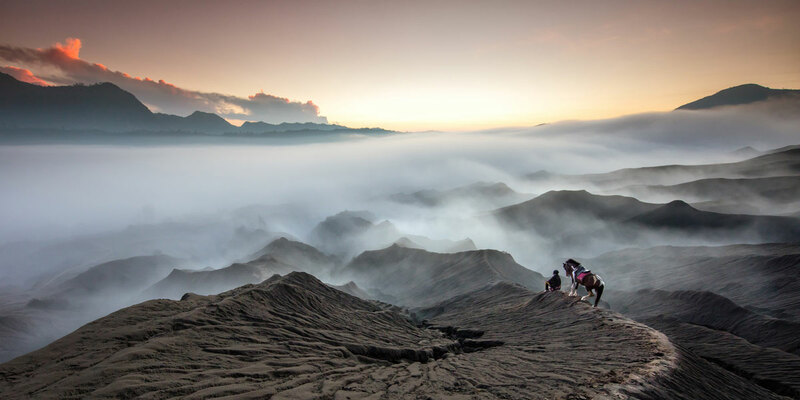 To shoot this moment, I climbed the hills at the foot of Mount Bromo in the early morning with my horse.